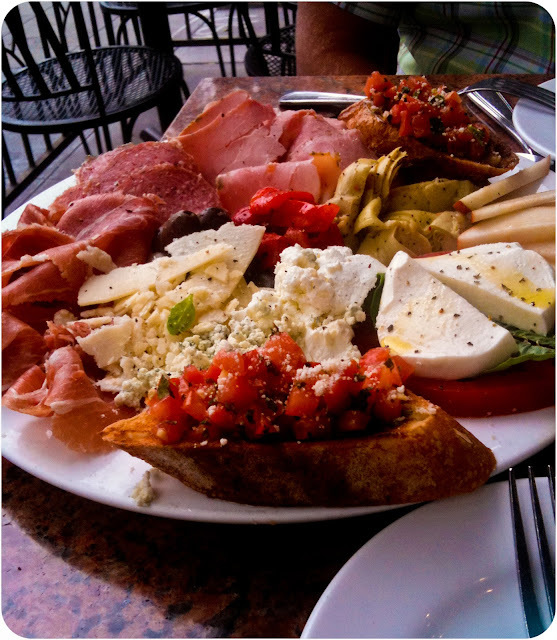 David and I went to Little Italy last week and had this fantastico antipasta platter at Buon Appetito. My favorite combo was a slice of barlett pear smeared with goat cheese topped with a bit of prosciutto on top. I could eat that all day. David and I had a good time trying different combos and talking about the flavors of each food and what paired well with what. I love being married to someone who appreciates food as much as I do. I once dated a guy who didn't care what he ate. He was the "eat to live" type (blah). I made him a fantastic dinner one night that was a work of art and a labor of love (or "like" - whatever). After we ate I asked him if he liked it. His reply was, "Yeah. It was good but I would be just as happy if you had made me a peanut butter and jelly sandwich." He meant to compliment me by saying that he was happy with me but I knew at that moment that it would never work. Dating David was completely different. Most of our courtship was in Rexburg, Idaho and if you've ever been to this land of snow and frozen nostril hairs you will know that gourmet restaurants are non-existent (although I've heard they've come a long way in the last five years). However, we did live just a short drive away from Jackson Hole, Wyoming - ski resort country. Many of our dates included drives up the snowy mountain with the heater blasting, listening to Madeleine Peyroux or something equally romantic. As we passed over the ridge we were no longer in college territory but the land of fine dining and fine prices. We once spent my entire tax return on one perfect meal at Stiegler's and it was worth it because I knew that I was sharing it with someone who was going to "oooh" and "aaah" with me over each bite, someone who would pile "the perfect combination of flavors" onto his fork and feed it to me just to see my reaction. 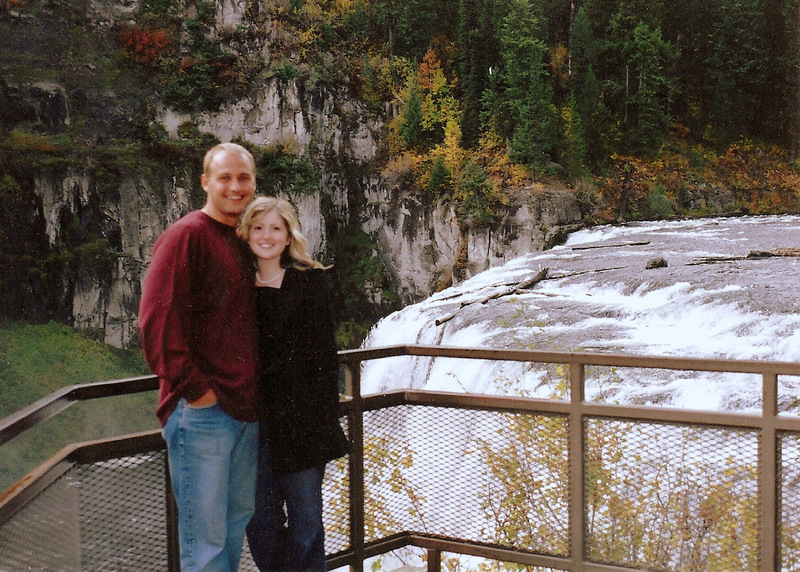 one of our first dates (mesa falls - 2004). when we were babies. aren't we cute? Just one of the many reasons why we are a match made in heaven. Looks so divine! My husband and I equally enjoy good food as well. It makes life together just that much richer. life just wouldn't be the same without enjoying food right. and had to chuckle when thinking back on the "fine dining" available in rexburg; craigos isn't everyone's version of fine dining huh lol!